Keeping two pairs of skates for different scenarios is becoming a common way of life for the aggressive inline skating community. Tri Skates - 125mm and/or 100mm wheels opens a door to aggressive inline skating obstacles that couldn't be skated before. Tri Skating makes traveling a lot easier covering distances with speed and effort that seemed only achievable by bike with more of a burn on the legs but easier on the knees. However the smaller wheels 54mm - 60mm can be the smoothest ride on concrete waves, and can be a greater technicality when trying to grind obstacles and avoiding wheel bite. Smaller wheels can erode quicker and can find cracks, and a rocky asphalt to be the next scrape on their knees. 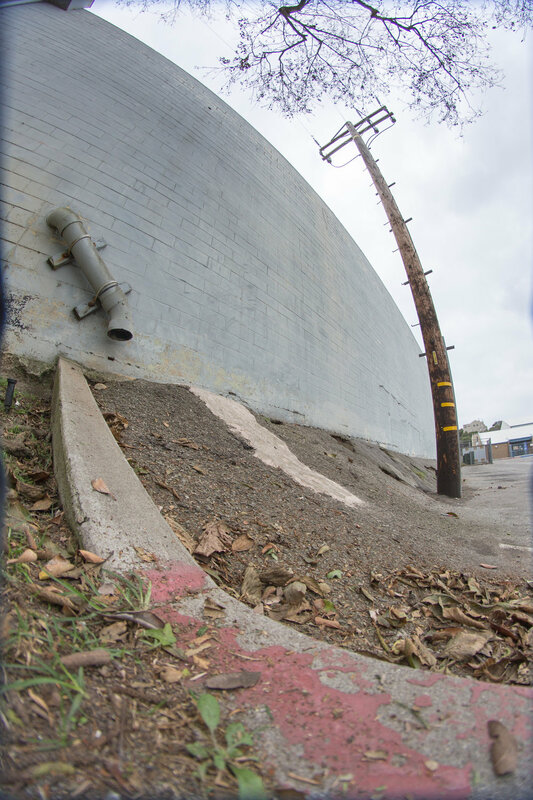 rollerBANGER Mike Obedoza and Ryan Northway found an old bank to be similiar to that of a secret level in a video game, unlocking obstacles that couldn't be skated on small wheels. Swept the runway with smallest broom in the world and caught this wall-ride.